The Rocky Franchise began in 1976 when Sylvester Stallone took on the title role in the film that he wrote called Rocky. From there the film spawned five sequels and now a sixth quasi sequel titled Creed. Creed is the other side of the Rocky coin. We all know what happened in his life and the tribulations that he suffered, but we never got a full picture of what Apollo faced in his own life. The film shows us that not everything was perfect on the other side of the fence and that before he died, he fathered another son. This film is as much about Apollo as it is about his son and what it's like growing up in the shadow of a man who never had the chance to know you. Ryan Coogler pulled double duty on this film as he both wrote and directed this entry of the franchise. This being only his second feature, his first Fruitvale Station, he delivers shots that make him look like a seasoned pro. The in-ring fight sequences where beyond beautiful and in the first "real" fight played out in one continuous shot. Coogler's ability to direct is equally matched by his ability to write and he wrote one hell of a story. His dialogue and backstory to Adonis (Michael B. Jordan) is so in sync with the franchise it's hard to believe that he, and not Stallone, is responsible for this entry. Coogler did his homework for this film and it shows in spades. Jordan, most of all, redeems himself after coming off the poorly received Fantastic Four reboot and shows he has the ability to act well and carry a franchise. He does an amazing job channeling Carl Weathers' Apollo and using it as a springboard to become his own man. His performance is outstanding and fits in the Rocky universe so well you feel like he was there the whole time. However, Stallone gives a once in a lifetime performance as an aging Rocky Balboa. At almost seventy years old he shows us a side of Rocky that we've never seen before. This Rocky has lost almost everyone, is tired and wants nothing more than to see his wife once again. Stallone shows just what an actor he is by delivering the most emotional performance of his career. Stallone may be getting older, but he is at the top of his game. Creed is one of the best films I have seen this year and it is a very deserving entry into the Rocky franchise. 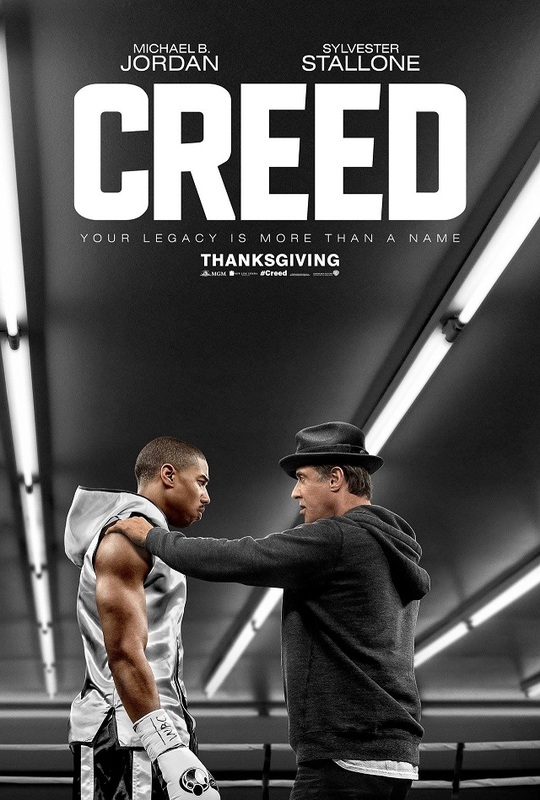 Hopefully this isn't the end to the Rocky series, but a beginning to a new Creed series.